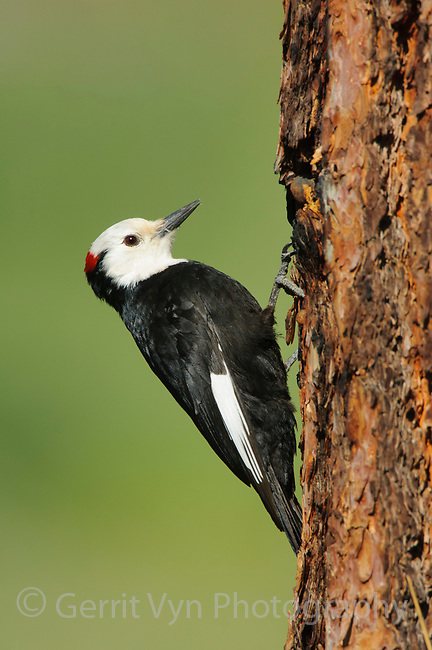 Adult male White-headed Woodpecker (Picoides albolarvatus). Yakima County, Washington. May.